no, it doesnt need to look “classic”. 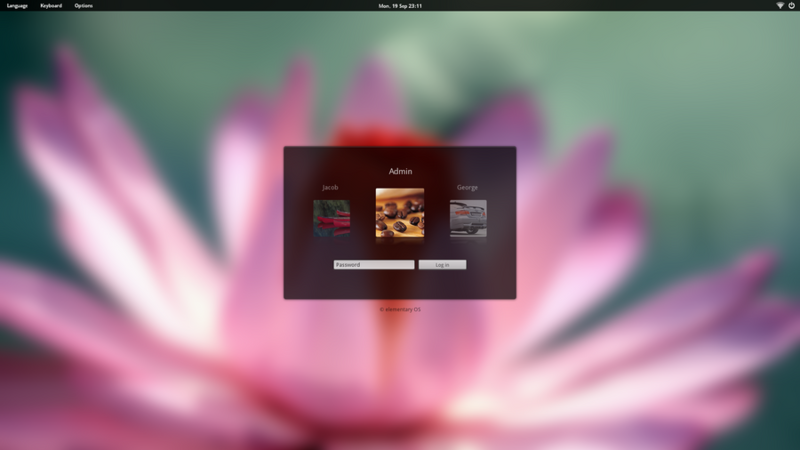 Anyway, haiku doesnt have multi user support… and also will not for a long time. So it’s senseless to be consistent with the current design. 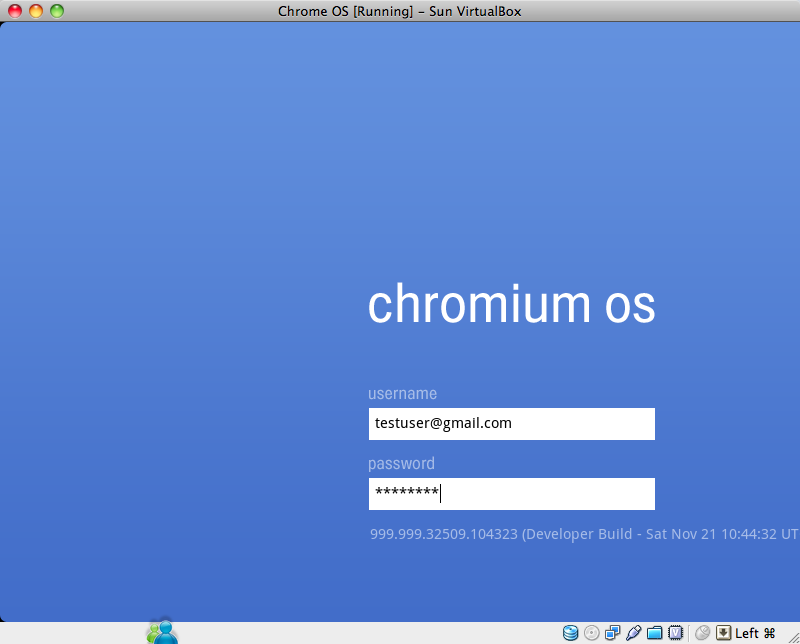 Multiuser support witll be somewhere… much later (after R1,… or R2, who knows). Till then I guess also the GUI of haiku will improve a lot, having hw accelerated appserver… with transparency… and all that stuff. Of course somebody could make such a log-in app, to have haiku password-protected… I people would use such an app. If you want to be really useful… than think about a great user interface, for example for my DocumentViewer. I asked already people to think about a user interface that is more modern, and usefull… but i didnt get good feedback. i found some good idears. i vote for a mix 1 + 2 (3) and 7 ! But I think the user:password-design is, in general, outdated. It shows usernames - bad idea. 50% of the intruder’s job is done. If username is YOUR name, then it’s 75% (it makes guessing password much easier). On login screen there is bunch of images (or avatars) from which to choose. On login screen there is a classic password prompt. On login screen there is a numeric keyboard (like the one you have under numlock). All visible, all the time. To log in user must choose a correct combination of those. Only he knows if it is image+password or image+numpad or image+image and so on, maybe even image+image+numpad or maybe just a password. On less vulnerable systems (at home) one could just use an image, on laptop one would use sequence of all three, maybe. On the system side: the login image can be made to a hash that is the “real” username or password - a series of numbers and letters. Two of the three can be combined, so on sytem side there still remains just the classical username:password-combination. It’s very fast data entry point and one can make “patterns” on it (Android has that?) if he forgets numbers easily. And if Haiku goes mobile, well we are set then. Just some thoughts, I’m sorry I don’t have time to present them in a more comprehendable manner. PS. Why a window? 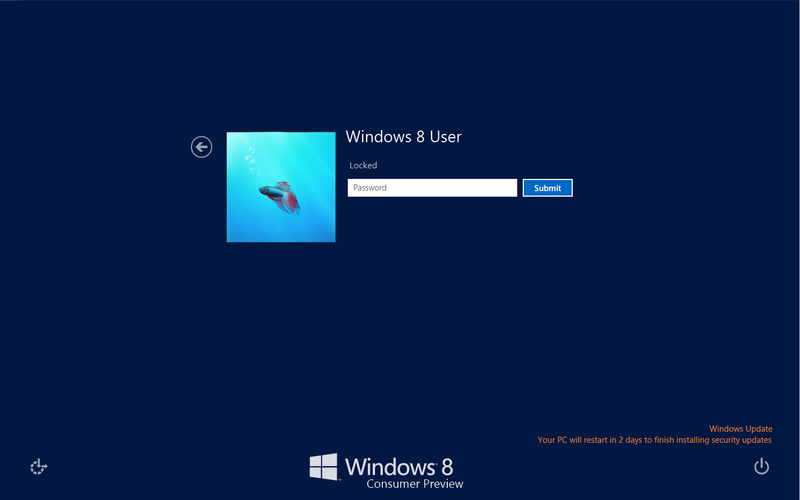 Will You have other windows on login screen? yes for me that is not “good feedback”. Good feedback for me means, criticism, telling me how to improve it. I encouraged people for “gui mock-ups”, but in fact nobody came with an idea (except karl, who showed me a few videos of a viewer on mac). Related to your login-screen. It’s very useless, for a developer. Not only because it’s not needed by now, but because it is very trivial. Something like you “designed” is very trivial, and every beginner in haiku-programming that is also artistically handicaped would have come with something similar or better. That doesnt mean, it should be done like that, it means just, that your “design” is not a help for a developer since anyone that wants to make such a login-screen , would be doing something like that or similar or even better. So you are just wasting your time and the time of other people. And I guess that’s also your intention to waste time to get a little attention with less work. If you really want to help haiku then try to invest many month of work into a mockup… or whatever. But real effort, not a quick and small “hack”. please dont take my words as an insult. It’s just the impression that i have and of course i can be wrong. Related to your login-screen. It’s very useless, for a developer. Not only because it’s not needed by now, but because it is very trivial. These mock-ups would be better reposted on the design mailing list( http://www.freelists.org/list/haiku-cdt) where developers can interact, but I don’t see the problem with people posting their mock-ups on this forum; people have been doing this for years. As for the uselessness of the endeavour, some of the tasks for the Google Code-In programme for teenagers that Haiku participates in has been to create mock-ups for things such as the package manager. The purpose of this was not to create a finalised design but as a means to create discussion among the developers and to aid the young person in dealing with the feed back that is found when creating such commissioned works. …having multiple users probably will have to wait until R2, but it should be possible to implement a login screen for a single user which uses the password from the screensaver preferences. The multi user part is indeed years away, but nonetheless the login screen can serve a purpose before then. Depending on the the difficulty, a task or multiple tasks could be created for this years Google Code-In. 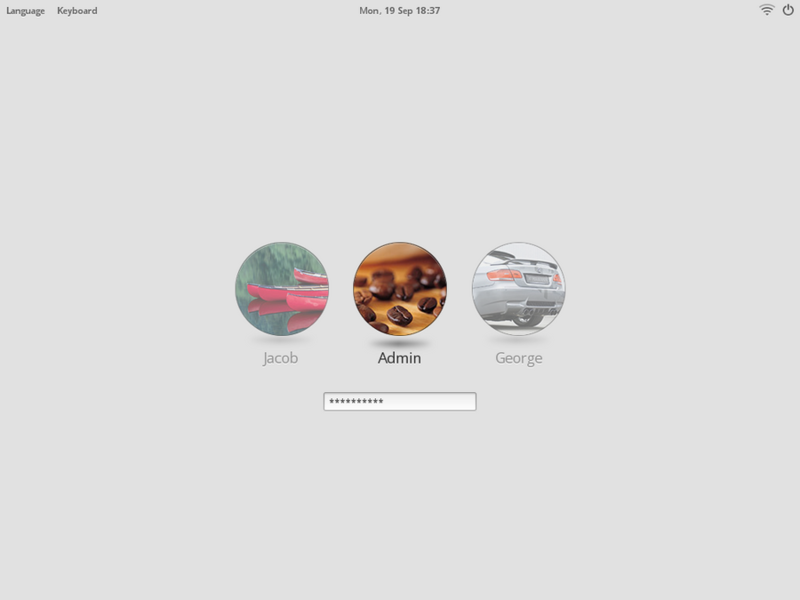 This would be to create a optional login screen for security conscious user who wishs to not have haiku simply auto load the desktop of Baron (its still called Baron right?). This mock-up could then serve as general guide to how it could look. So, yes, a simple application that prevents loading the desktop until the password is used would be very beneficial indeed! That’s a great idea. All you need is a screen locking application. I was going to suggest one, but was surprised that I couldn’t find something like that on Haikuware. [All you need is a screen locking application. I was going to suggest one, but was surprised that I couldn’t find something like that on Haikuware. You should read my post above… LockWorkstation can also act as Screen Locking… Ok it’s manual, but you can also put LockWorkstation inside BootScript and also calling it on demand! Gesture login? What’s next, whistle recognition? Drum breaks through a MIDI controller? As cb88 points out, any such novelty login system will have to either demand enough precision that it would be too annoying to use, or be not even as secure as a simple weak password login. You might as well not have it at all and just boot straight to desktop - which is what Haiku already does. I hate ALL login screens. I want something completely original and no screen where there is a user’s icon, photo, or avatar. I want a Mouse Gesture Login Authentication. But that’s me. Have a look at http://graphem.berlios.de for a general idea. There are many other projects in the works that are looking to redefine user interactum. Here for one, http://youtu.be/zWz1KbknIZk is pretty stunning! Say each movement would be worth less than a single charachter since I doubt any software would be more complex than that (22.5 degrees between each possibility of motion from the starting point). Even if it were better than that its still not nearly as good as even n alpha numeric input which would be over 36 possibilities without any symbols at all! That said it would probably be possible to make take longer to test each possiblity… at least 3-4 seconds to input it. and 30sec if you fail or something like that maybe 5min if you fail multiple times but that would work for any password shcheme. That said gesture based is VERY nice on mobile devices… dispite the possiblity that it would be easier to figure out your gesture than a password. Future proofing Haiku is very a good idea since there is quite of bit of stir porting it to ARM, I see this as a great opportunity for prempting a move to an even smaller platform like a 7" tab or even 4.6" phone (yes I know the phone portion wouldn’t work anymore). Oy…like a bad penny, this “tablet/phone Haiku” notion just keeps turning up. Whatever your feelings on tablets, the thing is that they require, by their very design, a radically different approach to UI than desktop OSes. (Which is why nobody bought XP tablets back when they were a thing.) Haiku isn’t that, and you’d have to change it beyond recognition to make it suitable for a tablet, and then you’d be left with the fact that you’d have even less usable software than you do now, because all Haiku software is designed for the desktop. Tablet Haiku isn’t “future-proofing,” it’s a dead end. There’s absolutely no point to it, and if anybody were seriously pursuing it instead of just discussing it hypothetically in the forums, it’d be a massive waste of effort. I can understand that you are fond of the current design of Haiku, and that you opine so strongly about almost everything that you reply to, but be honest at least, the very reason BeOS came to be (no pun) is because of radical thinking by devs that wanted to make someting that was interesting and powerful. Just because you could port Haiku to a tablet in a year from now, doesn’t mean that it would turn Haiku into an invalid or hurt it in any way! You never know until you really use it in such a manner. Adaption is key to the success of an OS. I do not mean commercial success, I just mean a viable alternative to accomplish something very cool. I can perhaps come up with 10 projects that I could use Haiku as a base for because of its speed and usability with limited resources that you would normally find on tablets. High End Tablet Remote to control an autonomous home. High End WiFi Audio Player using 3D Mix in conjuction with a Music Track-by-Track download portal that would allow you to mix other peoples’ music tracks, just the ones you want to add into the song. A dedicated remote-desktop light server in an arduino sized package. Jeez, I have to stop myself now because I can just totally see the use of this OS well beyond the desktop… all because of it’s basic desgin. P.S. - I checked out your site, and I love your choice of music and books. You’re alright in my books Cdre-John. But please don’t hold back in reply because I paid you a compliment. See, the thing is that what you’re saying is what a lot of tablet advocates have been saying ever since they started being a “thing” a couple years ago - namely, responding to the general criticism by pointing out X, Y, and Z situation where someone’s using them for something. But just because you can use a tablet for some task doesn’t make it necessarily a good fit for the job; more often than not it’s a kluge just to get it to work, when a real general-purpose computer would fit the bill much better. So arguing that tablets overall are comparable to a real computer by way of those examples is like saying that a sharpened rock is as good as a modern box of tools because it can fill most of those roles with enough creative problem-solving and elbow grease. Technically it might be true, but it’s missing the point that the toolbox is a massively more versatile and capable solution. All of which is only halfway relevant anyway, as my point wasn’t that tablets are useless (they are, but that wasn’t the point I was trying to make,) but that Haiku (like any other desktop OS) is just plain not well-suited to the UI constraints of a touchscreen-only device, and trying to contort it to fit those constraints is a waste of effort because then you’d have an OS/shell that worked well on a tablet from which you could run…a bunch of applications that still didn’t. You’re right that BeOS got to be great by deciding what it wanted to do and then doing it really well, without bothering itself about how the major contenders did things. That’s exactly why trying to turn Haiku into some kind of nebulous all-things-to-all-users God-OS is a terrible idea; Haiku is derived from BeOS, which was designed specifically to be the best damn desktop computer OS out there. You’ll no more get good results trying to turn it into something other than a desktop OS than you would trying to hammer nails with a pocket watch.